The Annual TTU Clarinet Day was launched by Dr. Wonkak Kim upon his arrival at Tennessee Tech University in 2011. Modeled after various clarinet events throughout the country, TTU Clarinet Day's mission is to provide an informative, enjoyable, and inspiring setting in which clarinet enthusiasts of all ages from Tennessee and its neighboring States to gather together. The Clarinet Day is centered around the Festival Clarinet Choir, which consists of high school and college students as well as many adult amateur clarinetists from around the region. Throughout the day, they have opportunities to attend showcase recitals by renowned guest artists, check out the newest line of products from leading vendors, and most importantly, meet and befriend with their follow participants. Here, you can check out some pictures from our previous years as well as a list of guests who visited Tennessee Tech to work with our participants. 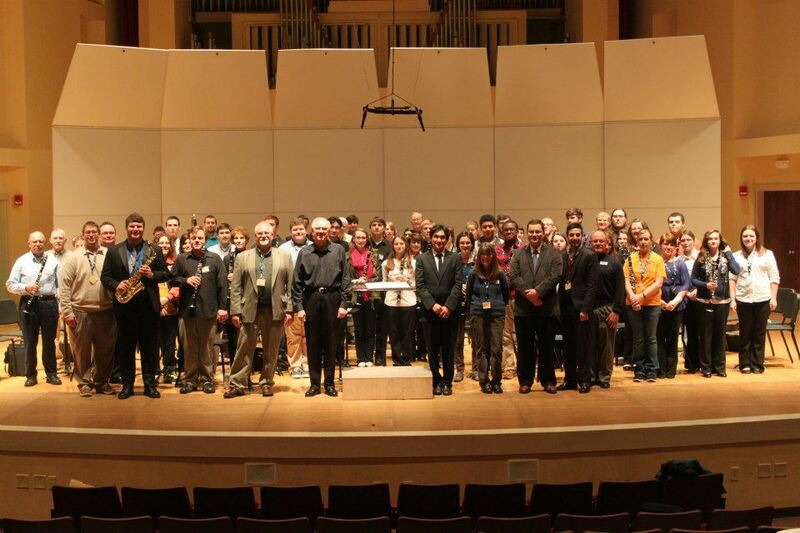 2013 Clarinet Day Group Photo!